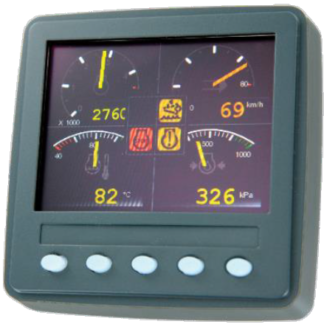 Kongsberg Automotive can supply a pre-assembled wiring harness for the CANtrak 2600/2610 displays. 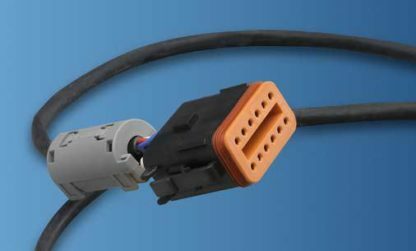 This consists of a mating connector to plug into the display and 1.5m long flying leads for connection to the vehicle or equipment. Alternatively for customers wishing to manufacture their own wiring harnesses a connector kit is available, which includes the connector body and 12 crimp contacts and sealing plugs. The power supply to the display should be protected by a circuit breaker or a fuse rated at 500mA per unit. 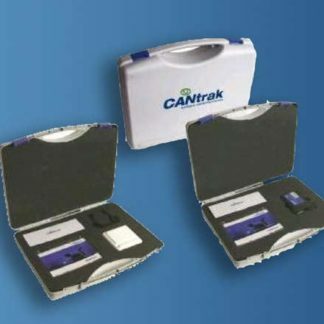 The CANtrak 2600/2610 display uses a Deutsch DT044242PA connector moulded into the rear of the display. The mating connector is the Deutsch DT06 12S A CE10 which requires a Wedgelock W12S (one per connector), Pin Socket 0462-201424631 (different finishes and termination methods are available for this part, refer to Deutsch directly for details), Sealing Plug 114017 (one per unused pin location). The Deutsch website address is www.deutschecd.com. Note: In order to meet the EMC radiated emission requirements of BSEN60946 it is necessary to place a ferrite clamp over the harness connected to the unit. Ferrite clamp should be of the type YDK ZCAT2032-0930 (available from Arrow Electronics, part number 422345E) or equivalent.